Pioneers in the industry, we offer generator air cooler from India. Ours is a reputed organization, which manufacture and supply Generator Air Cooler. A standardized process is followed for their manufacture. These are made available in multiple colors and dimensions as per the requirements of the customers. 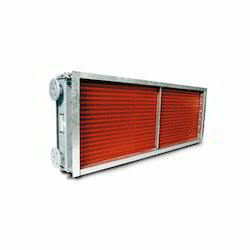 The Generator Air Cooler manufactured by us is extensively used in several industries. Based on cutting edge technology, we manufacture Air Coolers from premium quality material. Customers can avail Generator Air Coolers from us at affordable market price.